I grew up in Melbourne, Australia and apparently I announced to my family at the tender age of three that I was going to be a biologist. 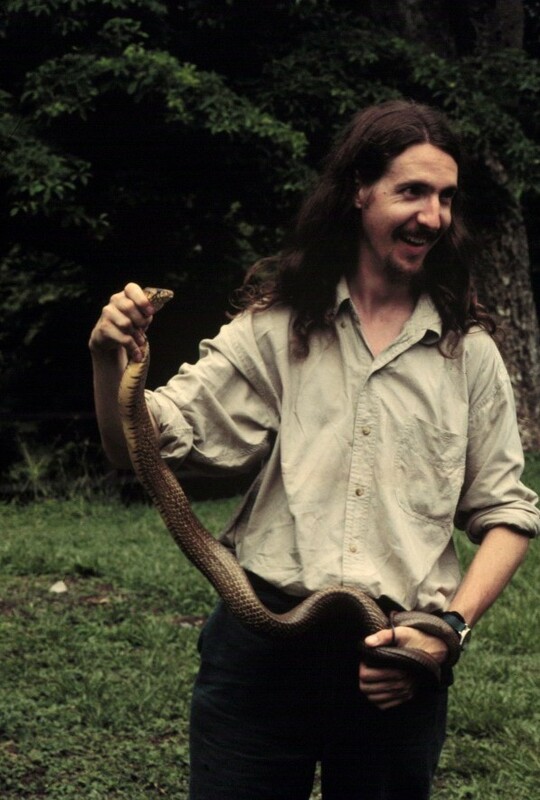 Biodiversity–especially the many and varied forms of animals–have long fascinated me and, to this day still provide my inspiration as a researcher. Throughout my school days, science was always my favourite subject but physics and chemistry felt like cough medicine–although I was sure they were good for me, I didn’t enjoy the experience very much! It was when I got to university (Monash) when I first studied biology and realised all the books and documentaries I’d been voraciously devouring gave me a solid base to work from. I loved every aspect of university, became involved in the Monash Biology Society in first year, eventually becoming President and leading trips to northern Australia. For my honours degree, I worked with Ralph Mac Nally and Andrew Bennett looking at the effects of habitat fragmentation on wildlife–focusing on birds in a poorly-known habitat type in western Victoria–Buloke woodlands. It was during field trips to these woodlands surrounded by agricultural land that I made two important realisations—a whole lot of amazing habitat exists on private land and mistletoes are fascinating. I moved to the USA for my doctoral research, working with Town Peterson, Bob Holt and Norm Slade at The University of Kansas. My interest was still on habitat fragmentation, but I was conscious of the mismatch in timescales between how long ecosystems take to adjust from major disturbances, and the age of many of the fragmented landscapes that were being studied–generally, less than 100 years since they were cleared for cities and agriculture. So, for my PhD, I undertook a series of studies in Mesoamerica to investigate the long-term effects of habitat fragmentation, gaining privileged access to some amazing places with birds in abundance, undescribed reptiles and amphibians, unbelievable food and, oh yes, lots of mistletoes. Having completed my PhD, I undertook a systematic review of existing work on mistletoe-animal interactions to see whether my experience with mistletoes was consistent with data from other systems, culminating in a review paper proposing mistletoes represent a keystone resource. Around this time, I returned to Australia to accept a position at Charles Sturt University and have been working there since, my research program comprising a range of projects in three main themes–the ecology of parasitic plants, the biological consequences of habitat fragmentation and biodiversity conservation in agricultural landscapes. I currently have five research students and a wide range of collaborators (17 at last count) with ongoing projects in southern Australian woodlands, central Australian deserts and Mesoamerican rain forests.